Juice cleanses have been all the rage in LA even if there is no real reason to be doing them. Juice tastes delicious and we like it! We decided to roundup recipes for refreshing fruit and produce blended juices for everyday enjoyment, not just to rid your body of toxins. Click the photos for each recipe. Recipe and photo by Thandi Eats Vegan. This homemade juice gives you a healthy morning buzz and is great for your skin. Recipe and photo by Kelly for Nosh and Nourish. This is a sweet potato based, peach pie tasting, vitamin rich juice. Photo and recipe by Sarah Britton for My New Roots. The juices are inspired by the relaxing seaside environment and local ingredients of Indonesia. Recipe and photo by Morgan for the Improv Kitchen. This green juice is a natural boost of energy filled with apple, ginger, greens, tea, and mint. Recipes and photos by Lily Diamond for Kale & Caramel. 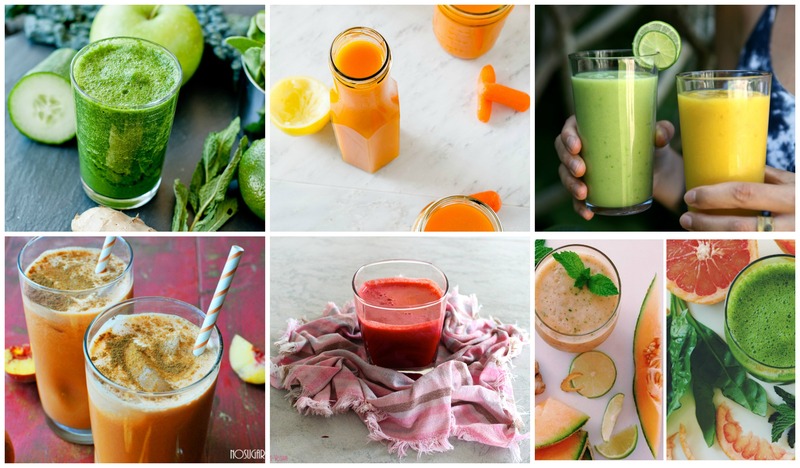 K&C has two mouthwatering juices each easy to make and satisfying.